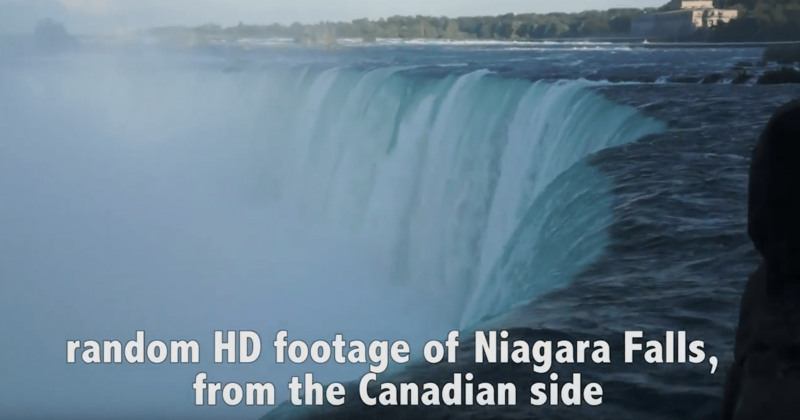 It’s MY lost footage of Niagara Falls! I thought this footage was toast, but lo-and-behold, I recovered it from a disk I’ve been having trouble with… you know, staying out late, smoking cigarettes with its friends… After the mess of this week, we totally needed this. While I was working at CAST, I took Thomas Bretgeld (creator of the Creation console for GLP) over to see the falls, as he lives in Germany and had never seen the falls. I could not let that happen, so off we went to see Niagara Falls! This is just the random footage from that trip, with some cool music in the background. All the footage was taken with my Sony NEX-5N. Next articleOMNIA! AVOLITES! 11am-4pm! TODAY!